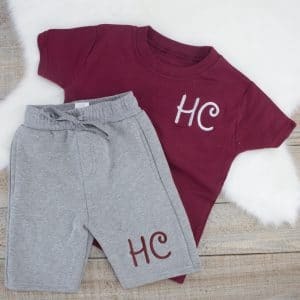 Show how proud you are at the birth of your little one with our cheekily designed ‘Worth The Wait’ t-shirt, a perfect addition to every newborn’s wardrobe. 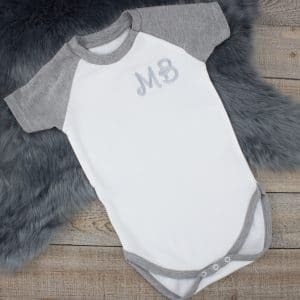 Also available in a bodysuit! 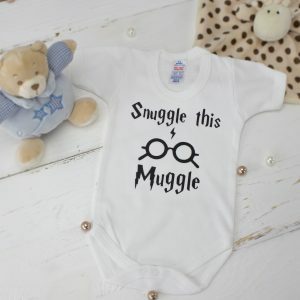 Baby Gifts don't come much more adorable than our "Snuggle This Muggle" bodysuit/T-Shirt, the perfect way to make your already adorable little that bit extra cute. 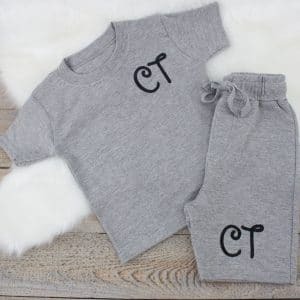 Available in a range of colours! 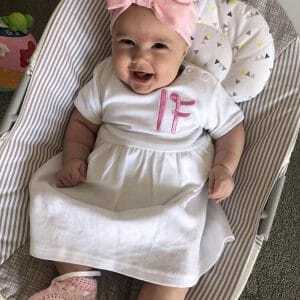 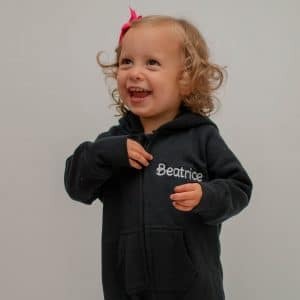 Our Personalised Onesies are guaranteed to make your little one stand out from the crowd, made from 100% cotton and can be personalised with their name to make for a truly unique and practical keepsake! 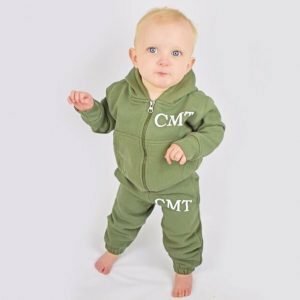 Lounging never looked so cute than with our adorable Personalised Khaki Baby/Toddler Tracksuit, made from 100% cotton and ethically sourced this 2 piece tracksuit is the ideal addition to every little ones wardrobe. 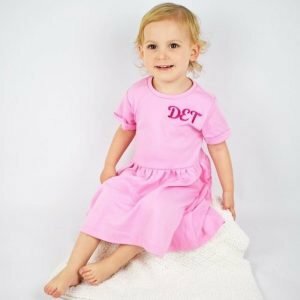 To Personalised, simply type little one's initials into the personalisation box below and select the colour you wish the text to appear!